Well, my 15 minutes of fame have come and gone. The reception I've received to my fangame "Arms2d" has been nothing short of amazing. Now that things have settled back down, I think it's a great time to take a look back at the inspiring reception of "Arms2d". If you haven't already, you can check out my Arms2d Motivation post. 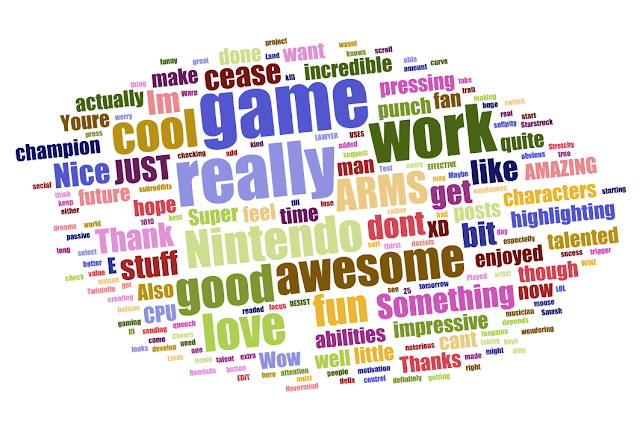 In that post I detail the ideas and motivation behind the inception and creation of Arms2d. It will hopefully give you a good idea of the mindset I had when releasing the game. So when I first released the game, what happened? Arms2d is a 2d fan demake of Nintendo's upcoming game, Arms (my fan game is not endorsed in any way by Nintendo) While Nintendo's game is a complex over-the-shoulder fighting game, my simple fan project is a free-for-all Super Smash Bros. style beat-em-up. What does Arms have that Arms2d doesn't have? I've always enjoyed making fan games. In fact, one of my very first fully featured games was a DS homebrew project entitled "Link's Crossbow Training DS". And just a short while back I developed the fan game "Splatoon2D". As someone who doesn't have the skills to do impressive fan art or musical remixes, the best way for me to express my excitement and admiration for a game is to do what I know how to do: make a game. So I hope that this little fan creation I develop gets you excited for the real thing. And I hope you have some fun as you get even more hyped for the game. So, It's been a while since my last blog post. So here's a quick recap of what I've been doing since then. And then I got back to working on what I was calling "My Western Game"
I continued to work on the game, sharing updates and screenshots on both twitter and instagram. So, I got distracted while working on my main western game. I made this small game. 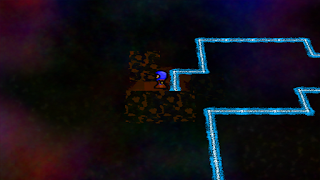 Right now it's just a very simple maze game. I'd really like your opinions on how the game looks. So if you like it, let me know, if it hurts your eyes or looks stupid, let me know. Merry Christmas and Happy New Year! I've got a couple minutes, so I figured I'd write a quick post to give you an idea of what's been going on, and what will be going on throughout the rest of the year. My college classes and assignment over the last semester have taken a lot of energy from me. I'm not claiming that I don't have the time to work on my games due to college, but since I'm taking a lot of computer related classes, by the time I'm done with my college work, the last thing I want to do is work in front of a computer for several more hours. With that said though, I will try to do a much better job of working on my games and providing updates here on the blog and on my twitter account and facebook page throughout this next semester. Splatoon2d version 2 is ready to be played! Since a lot of people seemed to like the original Splatoon2d I made a while back, I've decided to update it. It includes some more maps, more game modes, 1 extra weapon and the ability to play as an octoling. If you didn't know, Splatoon2d is a top-down de-make of Nintendo's game "Splatoon". Splatoon2D is a mere shell of what Nintendo's Splatoon is. Splatter ink everywhere to win. You can swim in your own ink. Hit the other person with ink and they have to respawn.